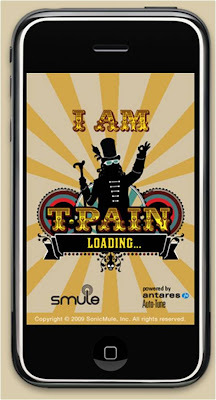 US singer T-Pain has managed to sell 300,000 downloads of his iPhone App in 3 weeks at $2.99 each. Dan writes that the 'I Am T-Pain' App is basically a branded 'Auto Tune' voice changing application and highlights that the average user is spending 66 minutes with the application and to date 4.1 m performances have been created. The TV coverage is great and really brings the T-Pain App to life, but the way that the different media channels have worked together is the most interesting aspect for me. A great example of creating a 'Destination' (in this case an iPhone app) that drives the 'Conversation', which then crosses into mainstream media, in turn driving further traffic to the 'Destination' - and the more people who download the T-Pain app, the more newsworthy the story becomes and so on.